Don't call it a donk bet. It hasn't been that for years. Well, at least according to poker pro Ryan Laplante, who proclaimed this during a Twitch stream he did last month that you can watch a replay of on his Twitch channel. On his stream, Laplante presented a persuasive defense of the tactic of leading into the raiser from the big blind. He used this play in a hand where there was an early position opener and two callers before the action got around to him holding in the big blind. After calling as well, Laplante watched the flop come and then led out into three players for 300 into a 680 pot. As he did, Laplante explained how the action of leading into the preflop raiser got the moniker "donk bet" because years ago, inexperienced players would do this with a weak range and inevitably fold when more experienced players raised them almost every time. Leading was considered highly exploitable because the preflop raiser's opening range contains all the big hands and overpairs while the big blind defender's calling range usually does not. This means the preflop raiser can just raise the flop and represent a big hand to put the big blind in a tough spot. Nowadays, better players understand that this is only a concern on boards where the preflop raiser has a clear "range advantage" — not the case on a board . Sure, the big blind's calling range is capped in the sense that it does not contain the biggest overpairs. However, this range does contain the same number of sets as the other players in the hand, if not more. Also, it is the only range with all the two-pair combos due to the attractive price offered to the big blind to call and close the action. All of which means on small, semi-coordinated boards like this one, the big blind is the one with the range advantage and is able to lead out without being easily exploited by a raise on the flop. Laplante says he chooses to lead small in this hand with all of his pairs to get value from hands like weak draws and protection from hands like dry Broadway cards. He also leads most of his set and two-pair combos to protect this leading range while saving a few behind to protect his checking range. He says any hand that wants to put chips into the pot could be a potential leading candidate. You get $22 Worth of Satellite Tickets for a £/$/€10 First Deposit + Get up to 40% of paid rake back every week! One of his viewers asked what Laplante would do if the preflop aggressor raised. He had an interesting answer. 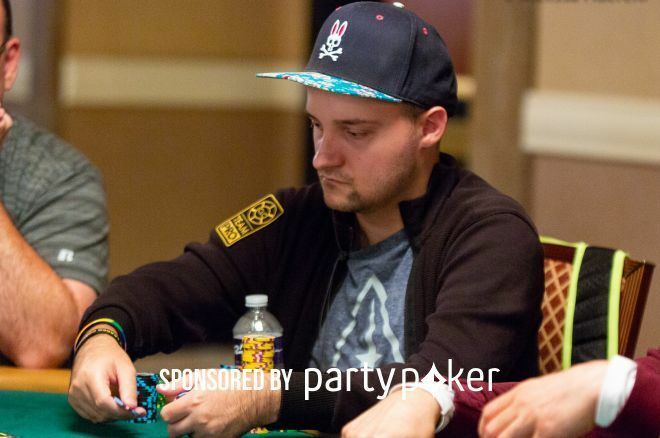 LaPlante said that this was highly villain dependent, but that he would usually just fold the weakest pairs in his range to most unknowns, and three-bet and triple barrel on a lot of runouts against aggressive regs who may be trying to exploit his flop lead. Even if they are making a legitimate value raise with a hand like , it can be tough to call down for three streets on a lot of runouts. This is not a line I would often take without going through the in-depth thought process that Laplante displayed. I would have considered this hand a bluff catcher and probably just check-folded it against a lot of players who I do not expect to continuation bet bluff very often in a four-way pot. If I did happen to lead with such a hand, I certainly would not have thought to three-bet and turn it into a bluff against good aggressive players. With a hand as strong as top pair, I would not have even considered this. I likely would have check-called it down and gotten squeamish on the river on most runouts. Laplante's line is brilliant, however, because it turns the tables on hands as strong as pocket aces and puts the opponent in that uncomfortable spot instead. In the future, I will look for more spots to lead the majority of my range on boards where I have a range advantage. If I have to fold it to a raise, I won't feel like a donk because I will have thought the whole play through. 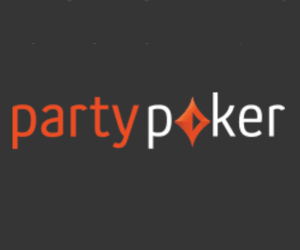 This strategy article by Carlos Welch for PokerNews is sponsored by partypoker.